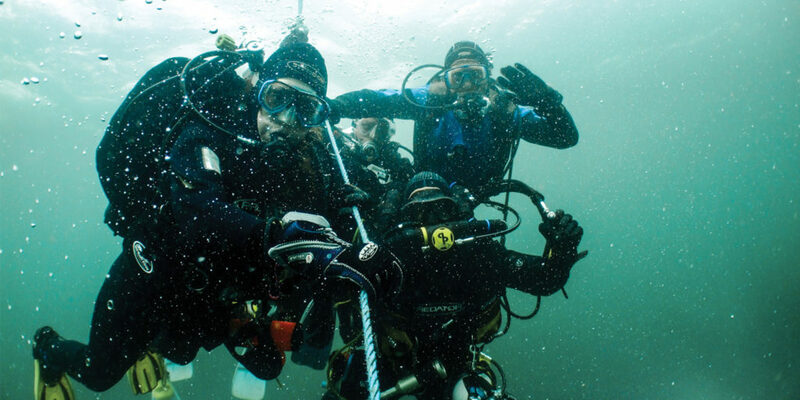 We share our favourite ways of enjoying the outdoors in Devon, from hang gliding to scuba diving, and everything in between. From lacing up your boots and hitting the moors, to donning a wetsuit and climbing aboard a stand-up paddleboard, there are plenty of ways to make the most of the great outdoors in Devon this summer. When visiting the south west, its endless miles of coastline simply can’t be ignored, and the allure of crystalline waves tempts thousands of locals and visitors alike into trying their hand at surfing. If this sounds like you, why not contact North Devon Surf School (www.northdevonsurfschool.co.uk)? This fantastic, purpose-built surf school has its own onsite shop and café and is just 50 metres from the beach! The team of friendly, helpful staff are well trained, offering group sessions, private lessons and surf hire, ideal for all abilities! Surf School Manager Emma tells us: “We’ve been running surf lessons in north Devon since 1988 and are one of the biggest established surf schools in the UK! In fact, we’re the top rated surf school in the UK, holding the ‘Centre of Excellence’ award from the ISA and Surfing England! 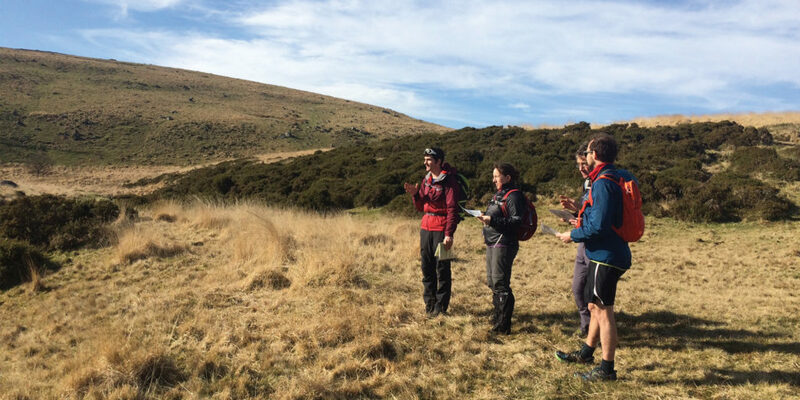 Now entering their sixth year of operation, the Reach Outdoors team have gone from strength to strength, winning gold awards for the Devon Tourism and Sport Excellence scheme, as well as being at the top of certain TripAdvisor searches! Rachel continues: “We provide a whole range of sessions to a whole range of client groups, from primary and secondary schools, to youth groups, stag and hen parties, family outings – whatever the occasion, our aim is to enable all participants to release their potential, have fun, challenge themselves and enjoy being outdoors and active.” Well said! 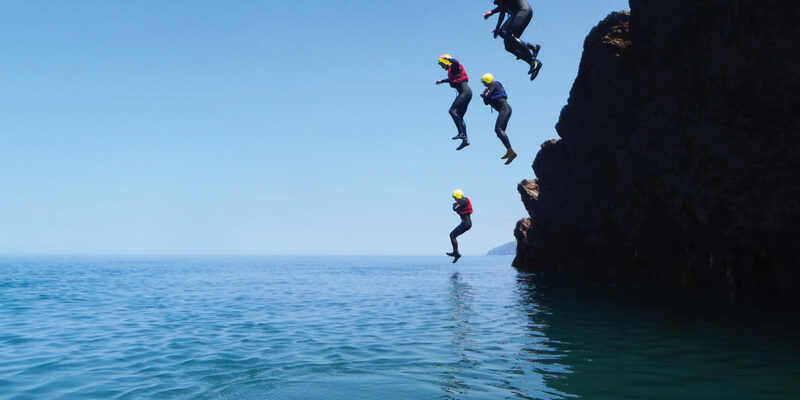 H2Outdoors’ activities include coasteering, stand-up paddle boarding, kayaking and surfing, allowing you to venture out along north Devon’s stunning coastal environment in new and exciting ways! And then there’s River Dart Country Park (www.riverdart.co.uk). 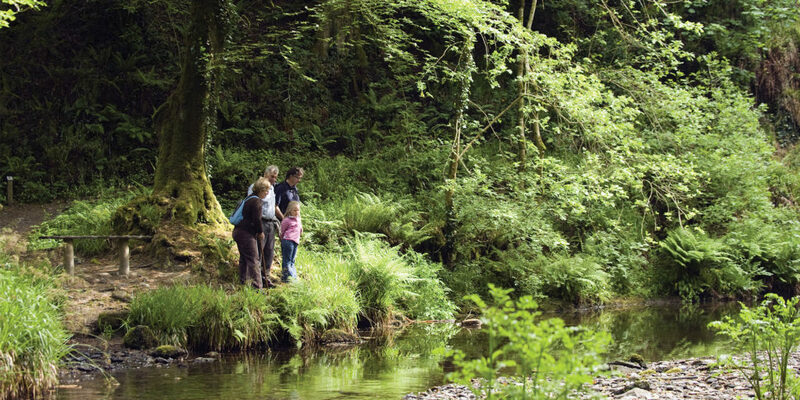 Set in 90 acres of parkland within Dartmoor National Park, the River Dart Country Park has been one of Devon’s leading family attractions and campsites for more than 40 years, offering an abundance of activities for all ages to enjoy. Indeed, kids and adults alike will find something to get their blood pumping at River Dart Country Park, with activities including the Adventure Playground, Agility Trail, Anaconda, Climbing Pods, Commando Assault Course, Mini Zip Wire and much, much more, including adventure days perfect for groups of up to eight! Cycling is definitely one of the most popular means of enjoying Devon’s rolling countryside and coastal trails, with a number of fantastic routes offering great days out for the family. The Tarka Trail, for instance, follows the footsteps of Devon’s favourite otter and it doesn’t take long to see how this stunning area of Devon – a UNESCO Biosphere Reserve – inspired Henry Williamson to write such an illustrative novel. There are also plenty of trails across the county that cater for those in search of a more demanding cycling experience. Gawton Gravity Hub (www.gawtongravityhub.co.uk), for instance, is a volunteer-run club set up to serve the local mountain bike community by building, managing and maintaining some of the best downhill mountain bike trails in England. 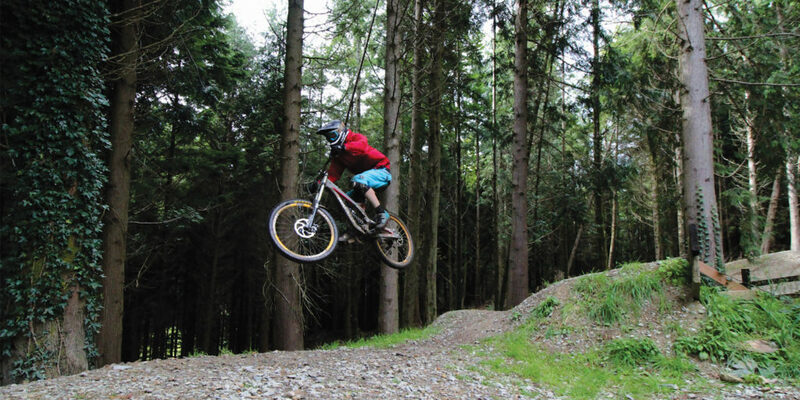 Visitors can enjoy a variety of tracks across two sites at Gawton and Tavi Woodlands, starting at red graded trails which are similar to red trails at Forestry Commission sites, right up to double blacks, which are some of the most difficult in the country and attract pro-level riders. To ride at Gawton all you need is a day pass, which costs just £5 and allows you access to both Gawton and Woodlands for the day. You can even book an uplift service at www.flyupdownhill.co.uk for your day, which offers between 12 and 14 trips back up the hill with your bike. What’s more, a year’s membership costs just £40, so if you’re an avid mountain biker, it could well be worth the investment! If you’re enjoying a city break in Exeter and looking for a similar experience nearby, Forest Cycle Hire (www.forestcyclehire.co.uk) offers visitors more than 3,500 acres at Haldon Forest Park, along with five purpose-built mountain bike trails. You’ll find routes for all abilities here, as well as over 150 mountain bikes, helmets, baby seats, tag-a-longs, recumbents, trikes and other equipment for rent. There’s even a fully-equipped cycle servicing centre to fix and service your trusty steed, meaning Forest Cycle Hire has everything you need to enjoy your day out on two wheels! 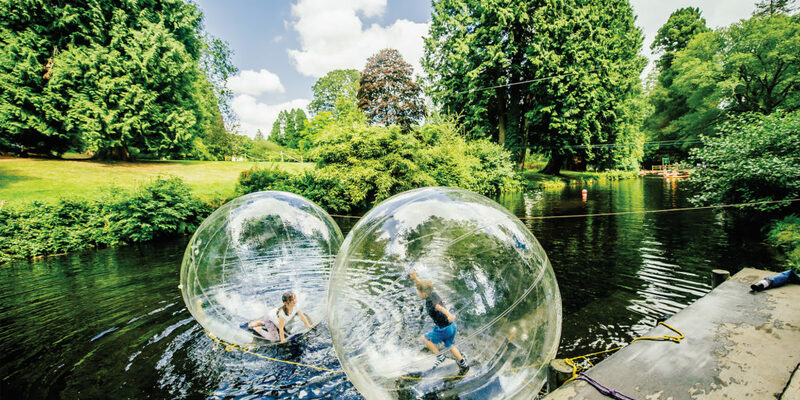 As we’ve already seen, Devon lends itself perfectly to outdoor adventure and thanks to this, a number of fantastic adventure parks have sprung up around the county, offering visitors of all ages an ‘all-in-one’ adventure experience like no other. 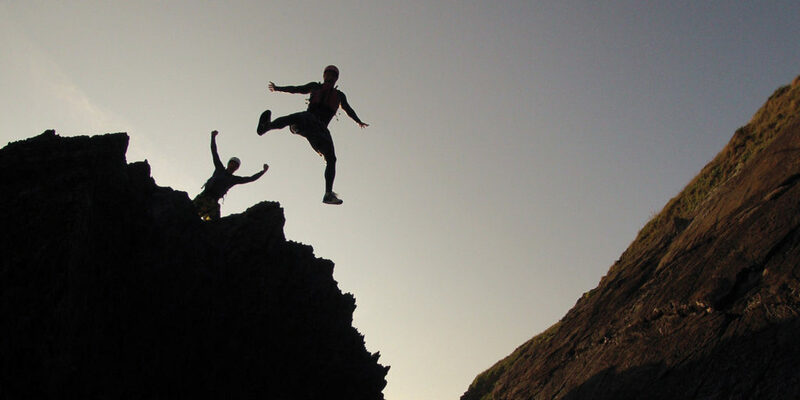 Take the Ultimate Adventure Centre in north Devon, for instance (www.ultimateadventurecentre.com). 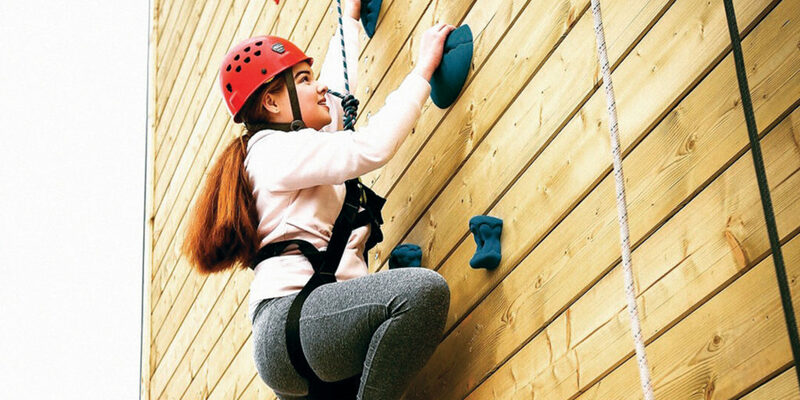 Situated 250 metres from the A39 between Bideford, this is an AALA Licensed centre, offering visitors a wide array of activities, from a high ropes course, climbing wall and ‘leap of faith’, to mountain boarding, coasteering, surfing, archery, and a whole host of activities for over fives!. There’s also an onsite café, numerous picnic areas, a fire pit, chiminea rooms and barbeques for hire, so you can really make a day of it! We couldn’t possibly leave out GoApe! (www.goape.co.uk) in Haldon Forest near Exeter. If you fancy flying over 200 metres on a zip line across a valley, or climbing 14 metres above the forest floor to swing, leap and soar your way through the canopy, the GoApe! 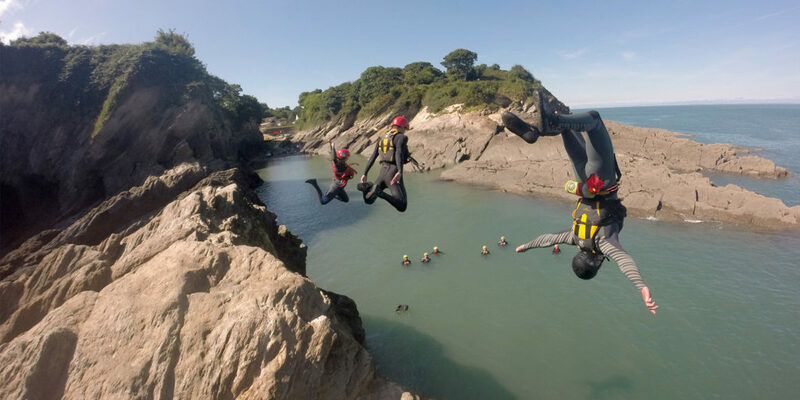 team guarantees a day out in Devon like you’ve never experienced before! 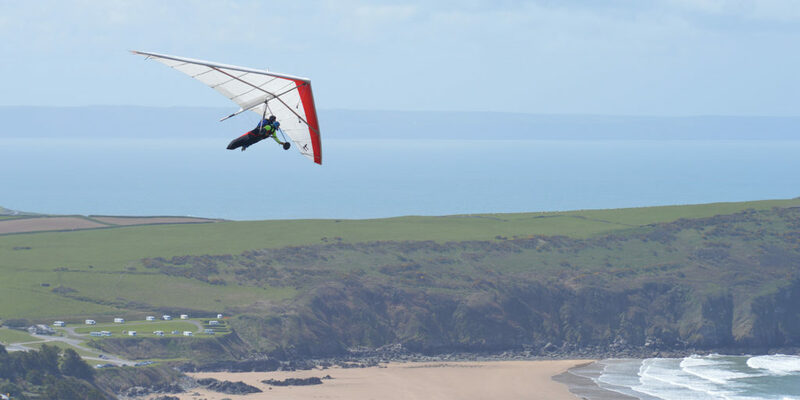 (www.flylikeabird.co.uk) offers both to anybody looking for real thrill, and what could possibly beat a bird’s eye view of the north Devon coast? 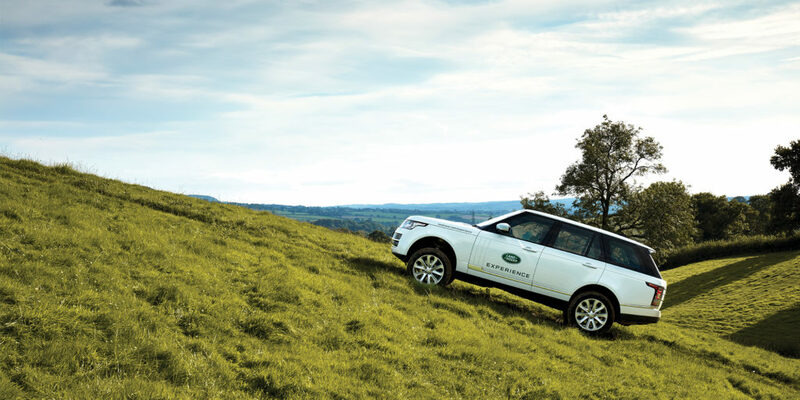 Alternatively, if you’d rather keep your feet firmly on the ground, perhaps Land Rover Experience West Country (www.westcountry.landroverexperience.co.uk) has what you need to get your adrenaline pumping? Surrounded by 135 acres of private access ground, including a 35-acre off-road course, the Land Rover Experience centre is familiar with holding events for small to large groups and guarantees an unforgettable day of confidence-boosting off-road driving challenges. There are countless walks around Devon, whether you want to explore the mysterious reaches of Dartmoor or stick to the South West Coast Path, always with a view over the Atlantic. One of our favourite spots for a stroll is Lydford Gorge. Owned by the National Trust, the full gorge walk takes around two hours to complete, and is a challenging circular walk with narrow slippery paths, however there are shorter walks to be enjoyed around the gorge. Both summer and winter strolls can be enjoyed here and in the winter, after the autumnal fall, you can enjoy views that are usually hidden by the leaves! You’ll also find two tea rooms at Lydford Gorge, one at the entrance and one near the 300 metre waterfall that the gorge is famed for, so why not pop into one of them for a cream tea during you afternoon’s exploration? So that’s that! We’ve barely scratched the surface of what Devon’s outdoors has to offer, and there are countless companies offering unique outdoor experiences throughout the county. Now isn’t it time you got up and went outside? Multi award-winning Unique Devon Tours offers exclusive guided tours of Devon and the surrounding counties for small groups of up to six people. 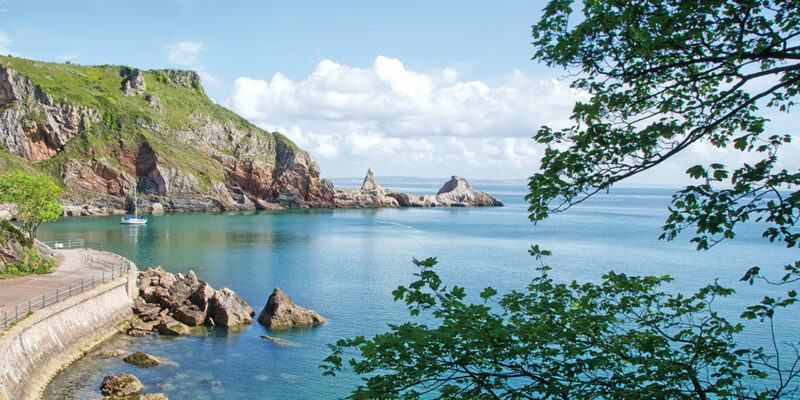 For the discerning traveller, this is the perfect way to see Devon in all its glory, taking travellers off the beaten track to beautiful and interesting places. You can be certain you’ll be in safe, expert hands as guide and owner, Alex Graeme, has just been shortlisted for the Wanderlust World Guide of the Year Awards, and is down to the last ten out of over 4000 guides around the world! 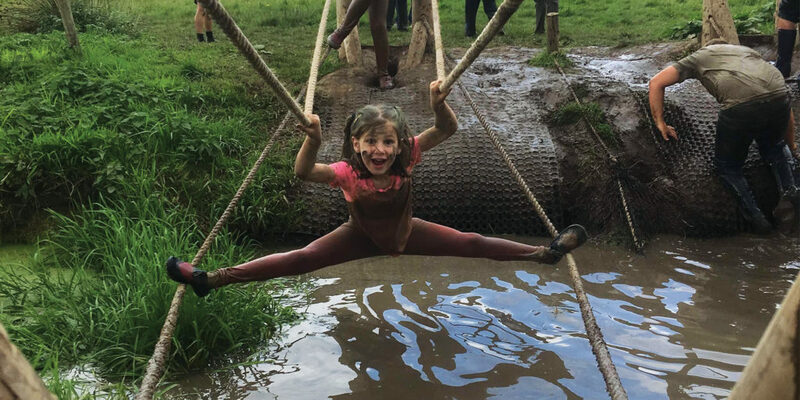 "whatever the occasion, our aim is to enable all participants to release their potential, have fun, challenge themselves and enjoy being outdoors and active."